Dr. Nguyen is a Diplomate of the American Board of Allergy & Immunology and the American Board of Internal Medicine. He earned a bachelor's degree from the University of Houston in Biochemistry and Biophysics in 2003. His medical degree was awarded in 2007 from the University of Texas Medical School at Houston. 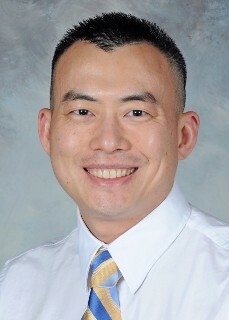 He completed his intership and residency in internal medicine at University Hospitals, Case Western Reserve University in Cleveland, Ohio followed by a fellowship training at the Division of Allergy, Immunology, and Rheumatology, Pediatrics at All Children's Hospital/Johns Hopkins Medicine, University of South Florida in Saint Petersburg, Florida. During fellowship training, his research focused on subcutaneous immunoglobulin replacement in primary humoral immunodeficiency patients and patients with eczema. He also helped set up a specialized Atopic Dermatitis Clinic where a comprehensive and standardized approach in treatment of eczema was established. He is appointed clinical professorship at Baylor College of Medicine, Department of Family and Community Medicine from 2015-2017. Dr. Nguyen's blogs at HealthTap® has helped over a million people all over the world. He is also honored as a HealthTap® Founding Doctor; Top Doctor, Houston Region Summer 2013; Top Allergist and Immunologist Award, Texas, Summer 2013, Summer 2014, and Spring 2015. 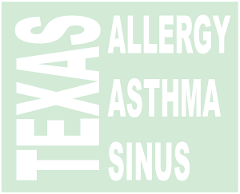 Dr. Nguyen enjoys taking care of both children and adults with asthma, hay fever, chronic sinusitis, chronic cough, hives and various allergic diseases such as food allergy, insect, drug allergies, and diseases relating to allergic inflammation. He is especially passionate in his treatment of patients with severe eczema and primary immunodeficiency to help improve their quality of life.